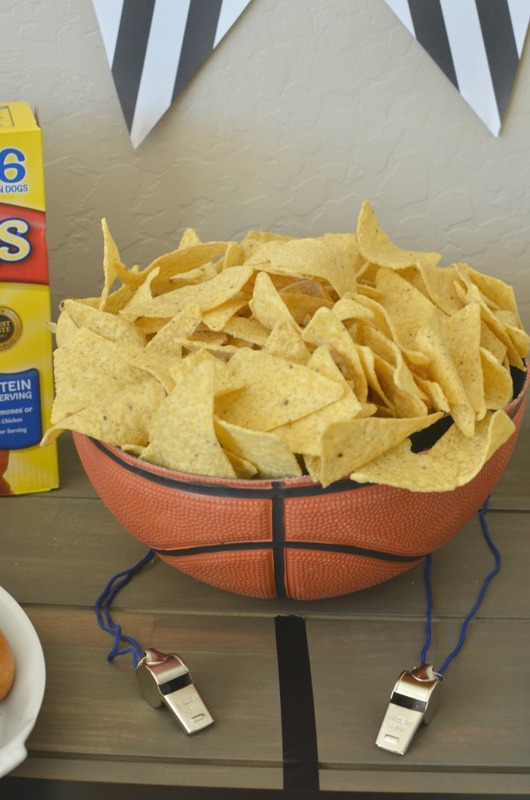 It’s college basketball tournament time and I’ve got some delicious dunk worthy recipes to share thanks to this sponsored post featuring Foster Farms. These elite eats are easy to whip up to enjoy while you watch your favorite teams face off. 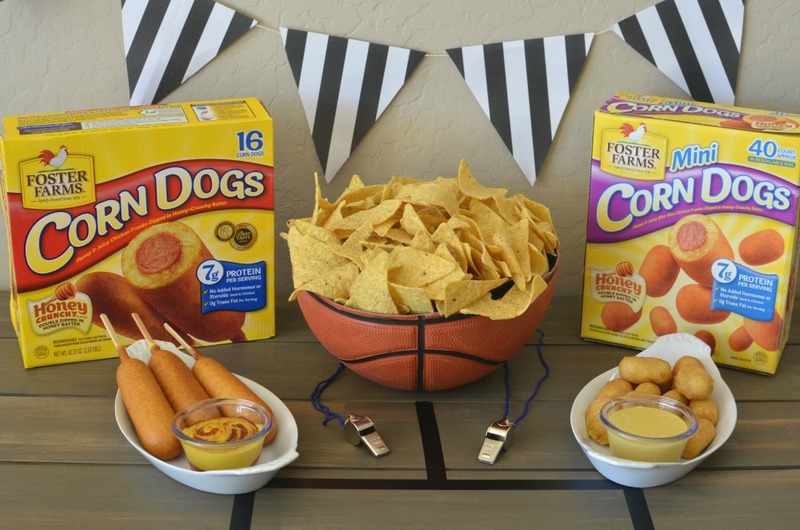 Dunk delicious corn dogs into your favorite corn dog dipping sauce for a winning play. 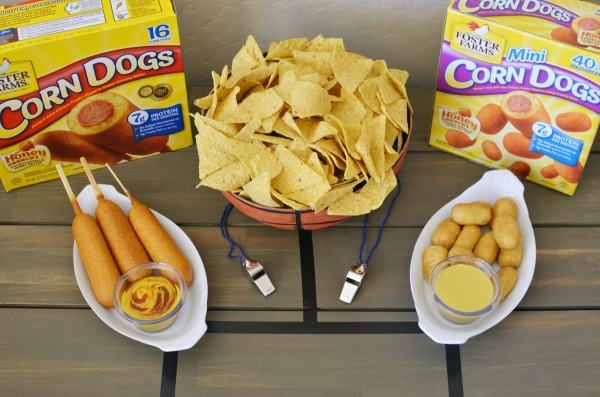 I’ve matched up Foster Farms Corn Dogs with a classic ketchup and mustard dip, going head to head with a delicious honey mustard dip and Mini Corn Dogs. 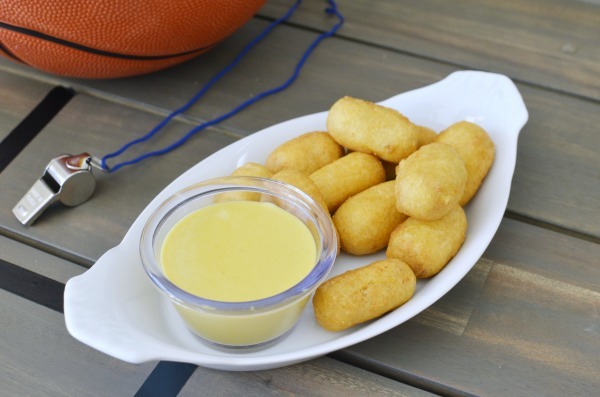 Even if your bracket’s been busted you’ll be a winner with crowd pleasing appetizers. These winning teams are ready to heat and eat in under 20 minutes, so you don’t miss any of the action! 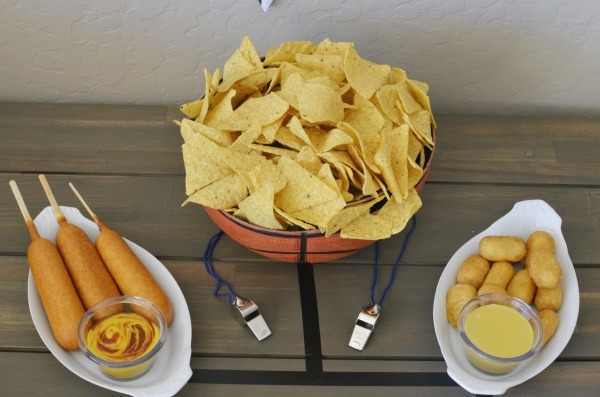 Both dips can be prepped ahead of time or whipped up quickly while the corn dogs are heating up. Add all ingredients to a small bowl. Whisk together until fully mixed. Chill the honey mustard dip covered overnight for the best taste. This allows time for all the flavors to meld together. Add ketchup to one side of a serving dish, add mustard to the other side. With a toothpick or chopstick swirl the two condiments together. 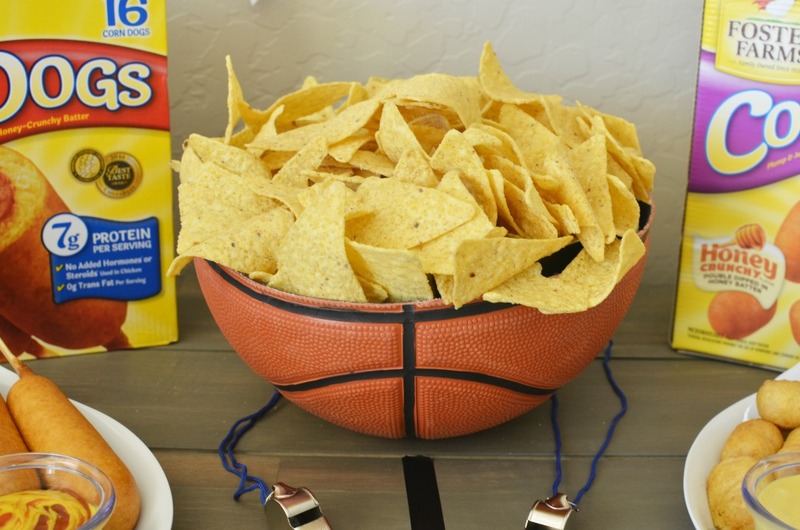 Serve up these winning teams alongside your favorite chips served in a custom real basketball bowl. I’ll be sharing how I created this super easy party decor next week. Frame the whole table with a washi tape bracket and ref pendant banner. 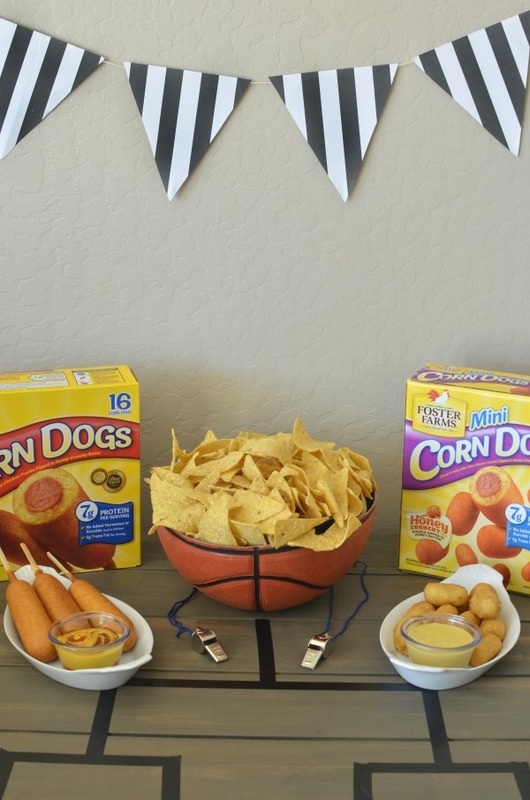 Foster Farms paired with these simple recipes and decor are the better bet for game-time snacking. In addition to the delicious Honey Crunch corn dogs and mini corn dogs I used for my match up, Foster Farms also offers additional varieties: Jalapeño & Cheese and Chili Cheese. They serve up quickly with no added hormones or steroids. And it wouldn’t be a tournament without a little competition giveaway of my own. 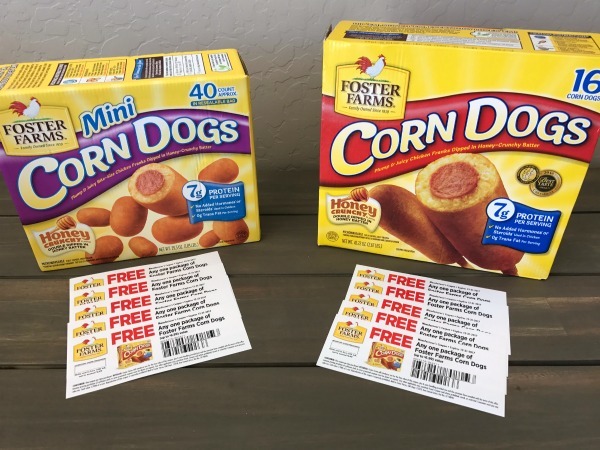 2 lucky winners will receive $35 in Foster Farms Corn Dog coupons for complimentary products (up to $6.99). 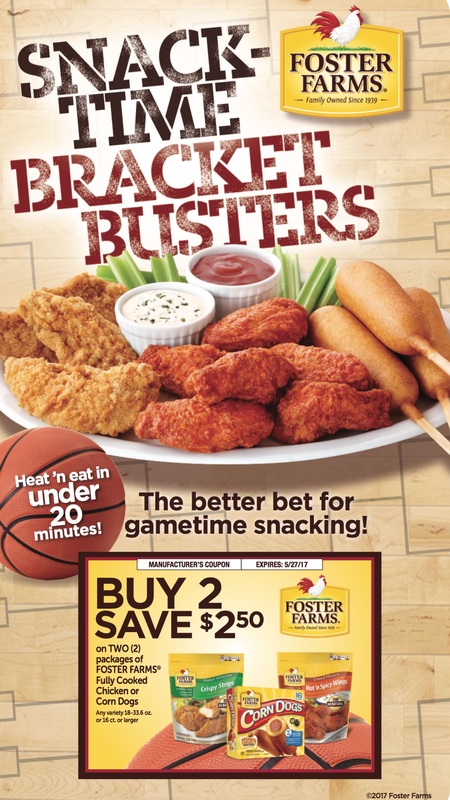 Grab a coupon to save on Foster Farms bracket buster choices. Pin these delicious pairings for your next tournament event for easy at home snacking. *Giveaway ends 3/25/2017. 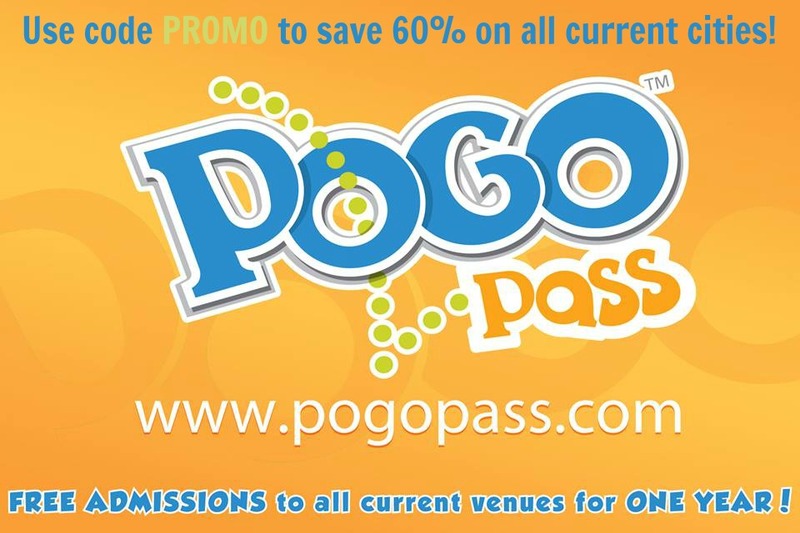 Winners will be selected by using Random.org and notified by the email supplied in the comment section. Winners will have 24 hours to respond and claim their prize. At that time a new winner will be selected. Foster Farms will ship prizes directly to winners. I love the mini corn dogs dipped in mustard and ketchup! yum! Oh I have to say I am team corn dog….but the rest of the family is team Mini corn dog~ 🙂 I love to brush some mustard on like they do at the fairs…oh so good! The minis ar easier to eat, but I still prefer the corn dog on the stick. This was a Twitter share. Minis – I think my boys like them better. I am team mini-dog just because they are easier to eat! I am team corn dog. 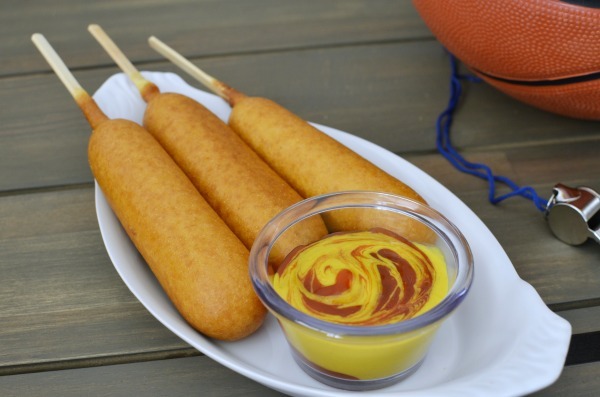 I’m team mini corn dog – so fun to eat dipped in ketchup! I love corn dogs so much but my kids are all about the minis.